Sadly, today was one of those days for me. I hate to admit this, but I’ve been a bit lazy lately.The change of seasons is always difficult, and I haven’t been pre-assembling outfits in my wardrobe as I usually do (cue upcoming wardrobe organization tutorial). Today the sun was actually shining in London, and I had to quickly throw something together (shudder!). As it looked like a beautiful day, after a bit of rummaging and false-starts I decided to make a departure from my usual jersey dress uniform, and instead wear my most recent bargain: a navy stretch crepe palazzo jumpsuit from Reiss (marked down from £300 to £75). This jumpsuit was such a bargain because they made it with a 37-inch inseam. At 5ft8in, wearing 4-inch heels, they touch the ground. I CANNOT do sleeveless without feeling like an 80-year-old flaunting her bingo wings, so I threw it over a printed silk blouse in black, white, and yellow, accented with long neon yellow earrings. I topped it with my acid-yellow trenchcoat (an Ebay steal). MISTAKE NUMBER 1: The NEXT time I decide to buy a jumpsuit, I’m not only going to sit down in it, but also sit down and LEAN OVER. I had no idea what a difference that makes, nor how often I actually move like that in the course of the day. Thankfully I recognized before leaving the house that within 1 hour this outfit would have given me a wedgie worthy of a comic-book nerd. Comfortable thong to the rescue! (yes, there IS such a thing – cue upcoming underwear tutorial. Preview: buy them 2 sizes larger than normal underwear, get them with stretch but NO elastic anywhere). MISTAKE NUMBER 2: At first I grabbed my trusty hot pink Ash “Thelma” wedges, but I changed my mind and decided to go whole-hog with the yellow theme and wear a new pair of Nine West yellow canvas heeled trainers instead (another ebay purchase). They fit well, and I wore them with thick socks, so I felt confident EVEN THOUGH I was taking my son to the British Museum and knew I’d be stomping the pavement all day. They look comfortable… but oh, the agony!! They were FINE for the first 3 hours (PS. mummies = awesomesauce for 7-year-old boys). Then I noticed the strain in the tendons under the balls of my feet. Soon the burning set in. We sat down for lunch, and I rubbed my feet and adjusted the laces so they felt pretty good again, but after a 15-minute run around the gift shop I knew I was in serious trouble. There was NO way I was going to make it all the way home in these things. To make matters worse, I looked down and noticed that the navy crepe fabric was rubbing dye off onto the toes of my increasingly agonising shoes, which were looking extremely grubby (despite me spending an afternoon a few weeks back applying several heavy coats of fabric protector, which has always worked beautifully before). With a brownie bribe, I marched my son around the block to literally the first women’s store we encountered. 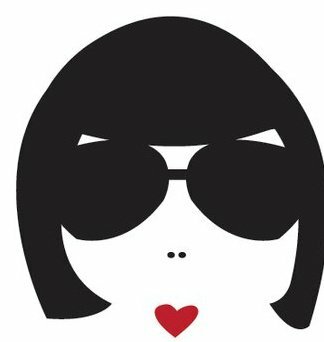 Dorothy Perkins to the rescue! I had 2 options: 1) buy cheap flat shoes and new trousers/dress to go with them, or 2) buy more expensive heels to wear with my Wedgie Suit. I decided to cover all bases. Fortunately my son hit it off with the delightful sales assistant (Kayleigh) and occupied himself with writing coded messages in hieroglyphics while I tried on 10 pairs of shoes. 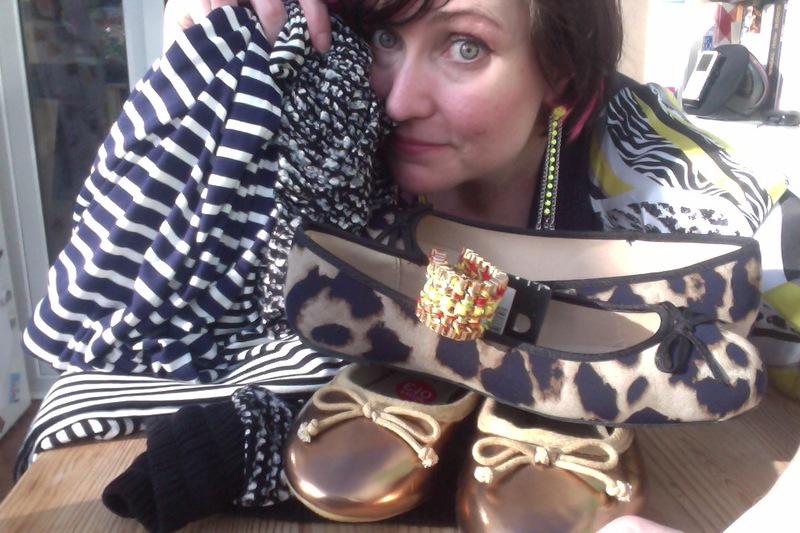 Golden espadrilles – my heroes! 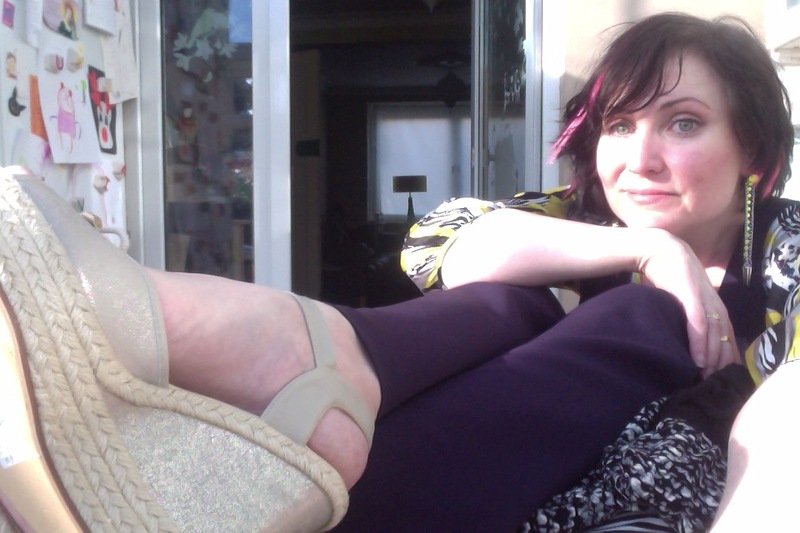 The winning pair were golden platform espadrilles. Let me state for the record that Dorothy Perkins shoes are well-designed and stylish, but they are cheaply made and are not tremendously inexpensive. My new shoes set me back £29 ($45) and are entirely man-made, including the lining. I HATE vinyl-lined shoes (why oh WHY?? Surely canvas is just as cheap and easier to work with? 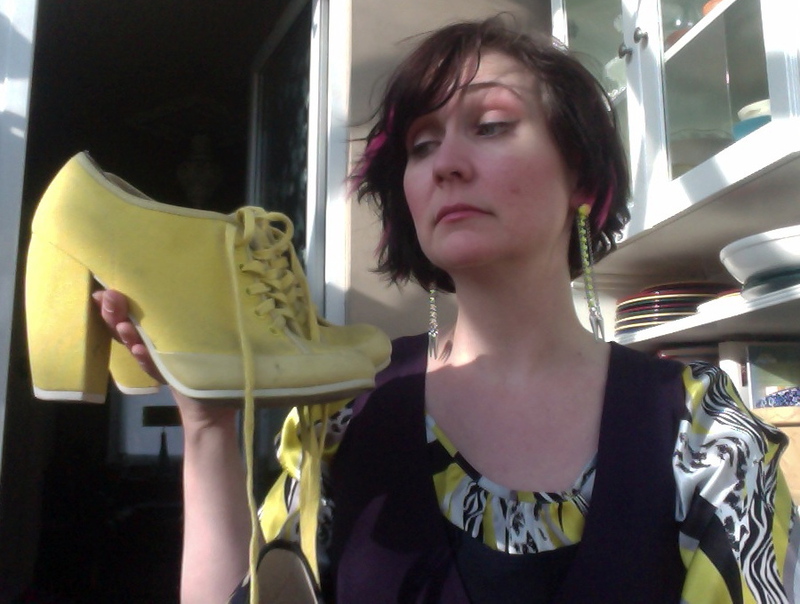 ), but I was not about to walk to another store in those yellow torture devices. Oh, and at this point I also discovered that the shoes had caught on the hem stitches, pulling them both almost completely out (and lowering the hem by a further 3/4in!). Suffice it to say that the jumpsuit is in wardrobe limbo at the moment and will have to work hard to get back into my good graces. Naturally I had to explore option 1 as well… and ended up walking out of the store £120 lighter with 3 pairs of shoes (2 flats lined in canvas), 2 striped skirts, a bracelet, and a ridiculous pair of printed jersey harem pants which may never see the light of day, but will be really comfortable for hanging around the house! So I guess today’s lesson is that failing to plan and think through outfits ahead of time can end up being a very expensive mistake! But it’s still not as bad as that time I walked through airports in Stockholm, Amsterdam, and London before realizing the seat of my trousers had ripped out and everyone could see my underwear.